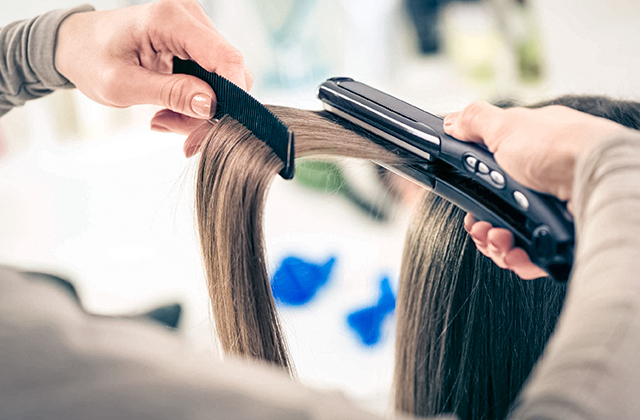 Wrap Control allows accurate winding of each hair lock around the barrel to achieve salon-like curling results. 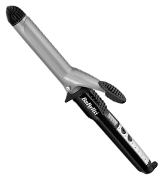 The BaByliss 2285CU Curling Wand is a professional model that delivers salon-quality results. Thanks to the high-quality ceramic barrel infused with Macadamia and Camellia oils, the wand provides free-flowing curls with no kinks. 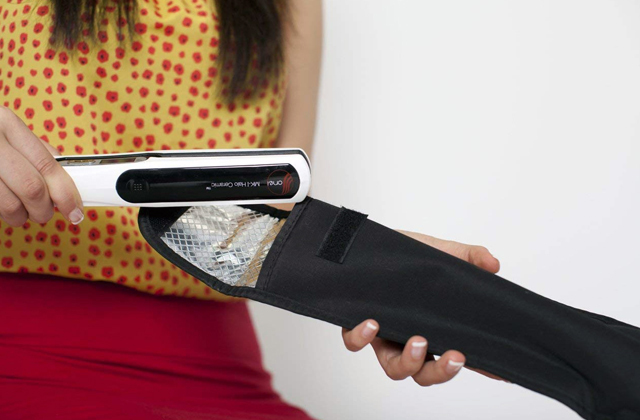 You can set this iron at the gentle 80°C in order to create smooth waves without damaging thin hair. A thick barrel might be a bit inconvenient for styling short hair. If you have long and fine hair, don't look further. 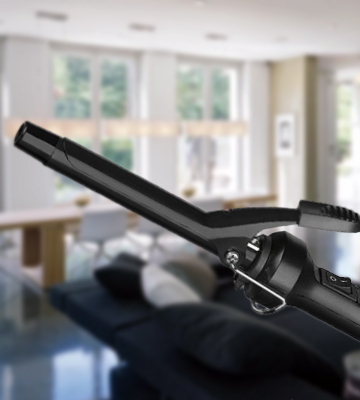 With gentle heat settings and an extremely thick barrel, the Anjou Curling Iron can help you style your extremely long hair, experiencing no discomfort at all. 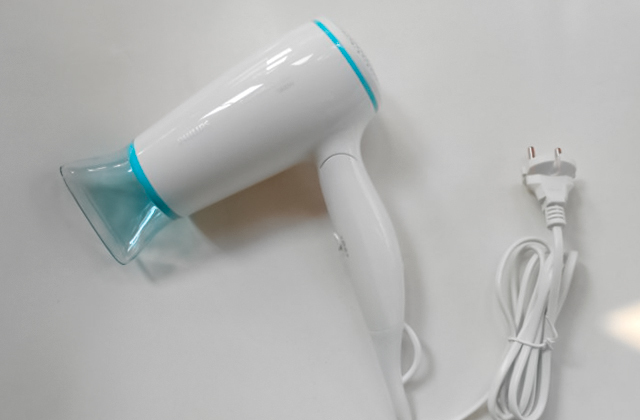 Due to a temperature control lock, you'll never miss the setting and will be able to apply the optimal temperature to your hair. Button arrangement is a bit inconvenient. 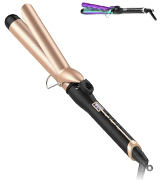 Looking for a curling iron that would provide super fast performance and deliver amazing results in mere seconds? The Remington CI96W1 with a silk ceramic coating and 3D design will provide you just that and let you create silky to touch and voluminous curls with a luminous lustre, requiring zero to none effort. The upper part of the handle, as well as the clamping element and the cool tip, has a ribbed surface, making it easier to hold the device. 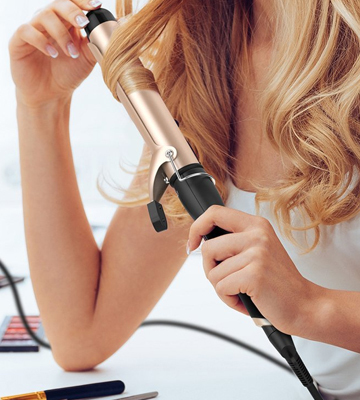 Though less suitable for thin hair due to relatively high-temperature settings, this curling wand will be an ideal fit for all other hair types and lengths. It is a pretty classic model and if you aren't looking for some particularly sophisticated model it will surely fit the bill. It comes with a brush attachment for creating bigger curls and adding body to your hair. 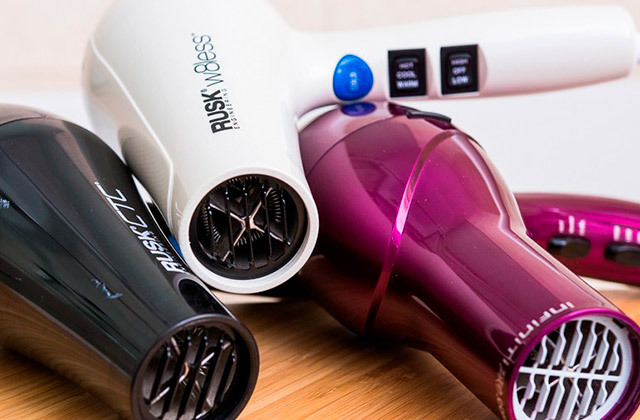 Are you looking for a curling Iron that won’t harm your hair? 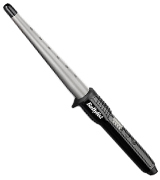 If so, consider this BaByliss professional ceramic curling iron. The manufacturer has done its best to provide you not only with a high-quality but also safe appliance. 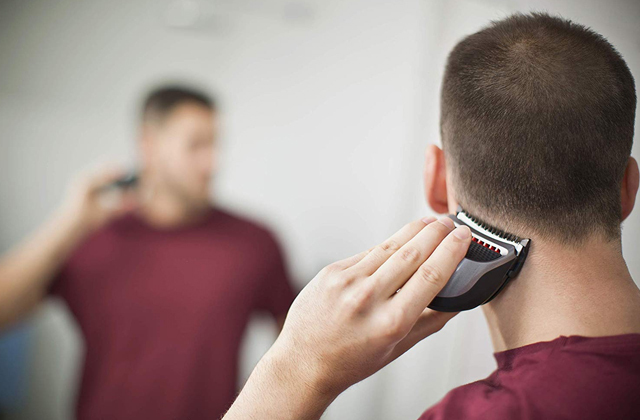 Five temperature settings allow you to choose the most suitable option according to your hair type. However, pay attention that the minimum temperature is 150°C. So, if your hair is thin and dry, it’s necessary to treat it with some protective spray before curling. When choosing a temperature, you can use either a display or wait a bit until LED indicator informs you that the iron is heated up. 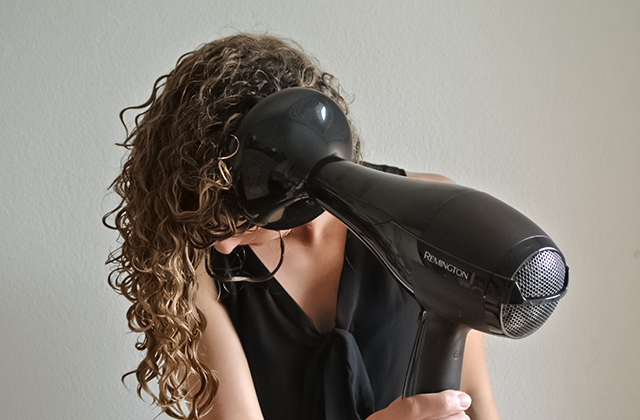 The max heating setting the wand can reach is quite high and makes salon-quality 210°C. There is no reason to worry about your fingers – you won’t be able to burn them either. 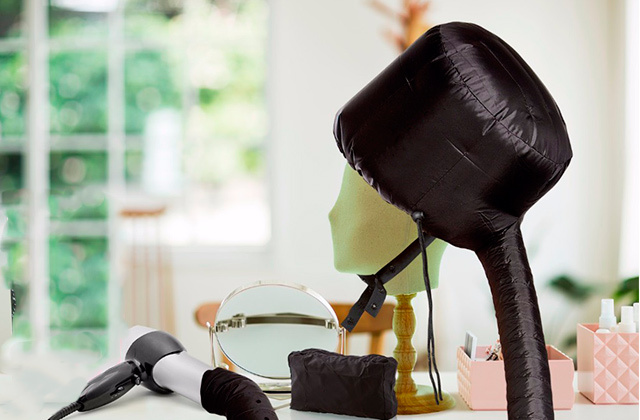 Thanks to a heat-resistant glove sold together with this ceramic curling wand, you can touch even hot parts of the device. As for your hair, you can be sure that it won't get damaged, since the ceramic barrel is infused with Macadamia and Camellia oils for the gentlest and longest results possible. The last but not the least thing to mention is the fact that the manufacturer has also taken care of your house safety. Forgot to turn the iron off before going to work? Don’t worry – the auto shut-off function will stop the iron’s work in 72 minutes. 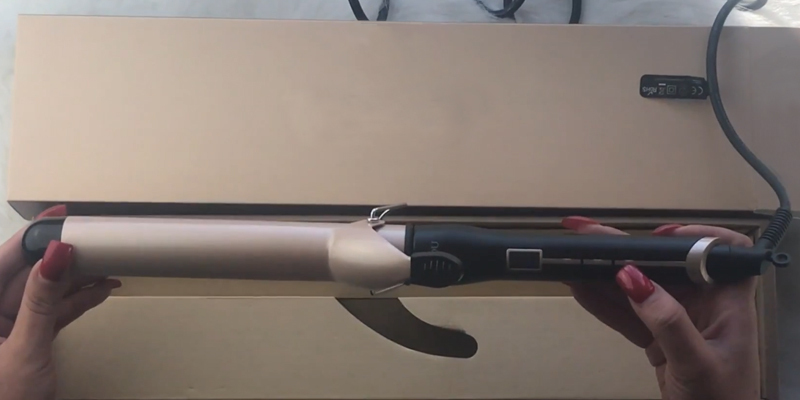 The Anjou Curling Iron is one of the thickest models represented on the market. And unlike the majority of its rivals, this styling tool is suitable not only for making curls. With the help of 32-mm barrel, you will also be able to add some volume to the roots of your hair, making it look more voluminous and natural. And it doesn't matter whether you have fine, normal, or thick unruly hair, you'll be able to style it up with the curls or waves you want. 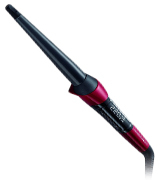 The curling tongs offer the wide range of heat settings with the maximum 210°C. 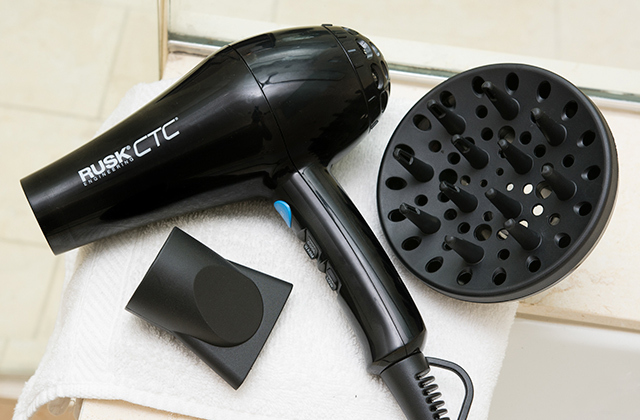 As for the lowest temperature, it makes 80 °C only, meaning the curler will be gentle even on extremely fine hair. You won't even need to apply heat-protective sprays onto your hair. The iron works amazingly well on the long hair, as it has an extra-long 21-cm barrel. Even if you have hip-length thick hair, you'll be able to style it in just 15-20 minutes. 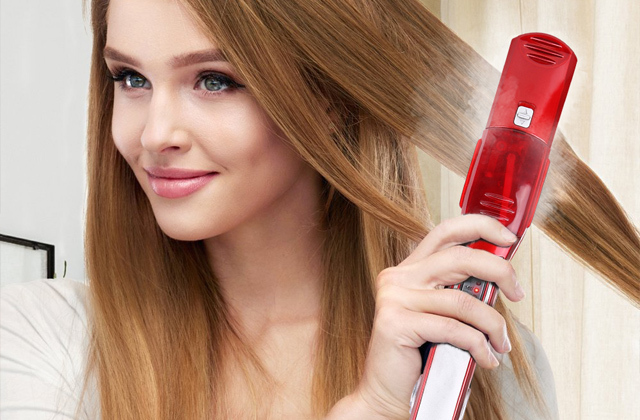 Thus, if you look for a right tool to manage your long hair, experiencing less discomfort, these curling tongs can be the best choice. For safe operation, the curler has a little stainless steel stand, so when you put it on your dresser, you can be sure that the surface won't burn. And to avoid scalding when styling, you can use the included heat-resistant glove. 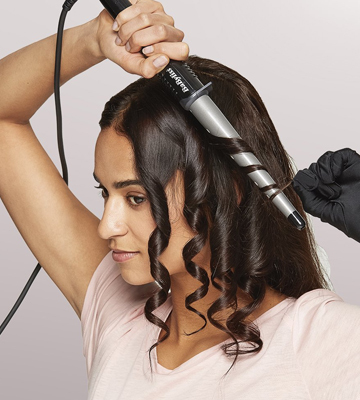 These ceramic curling tongs are fitted with a 360° rotatable power cord that stretches up to 2.5 m, allowing you to reach around your head without getting tangled up. 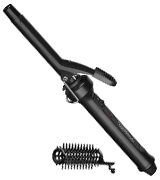 Meet the Remington CI96W1 Silk Curling Wand for professional styling at home. The wand has a silk ceramic coating with 3D effect. The conical 25-13mm barrel will help you create tight and bouncy curls or loose beachy waves with a luminous lustre. This professional styling tool lets you achieve an extremely natural look. Thanks to its conical design, you can create smaller curls at the ends of your hair and voluminous curls closer to the roots. And since this curling wand has no clamp, you will always get perfectly smooth curls and waves. Just wrap and go! 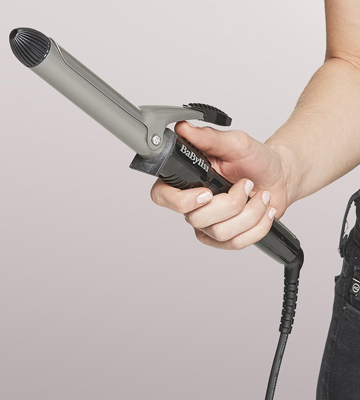 The Remington ceramic curling wand heats up in seconds, and you can get fantastic hairstyle in approximately 10-15 minutes depending on your hair length and on how small or large you want your curls to be. 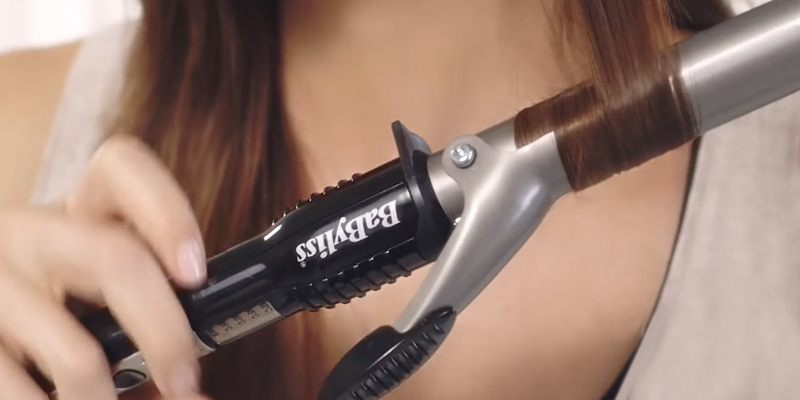 The Remington CI96W1 curling wand boasts variable temperature settings for different hair types, so there's no chance that you may damage your hair. Adjusting the temperature is easy with a small digital display. Understanding the risk of occasional burns, the manufacturer has included a heat-resistant glove. What is more, the iron’s tip doesn’t heat, so you can even touch it while winding the locks. 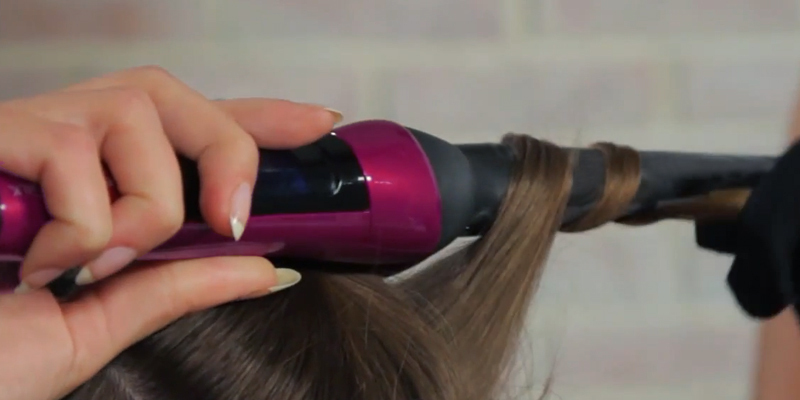 And as soon as you finish styling, you can put the wand into a heat-resistant pouch. 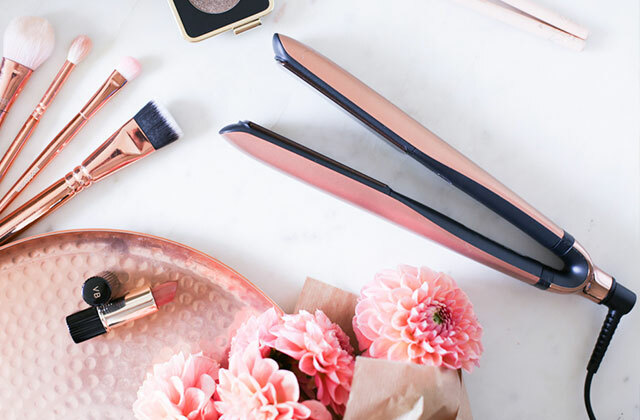 What Is a Ceramic Curling Iron? Are ceramic curling irons better for hair than tourmaline or titanium ones? A big yes! Ceramic curlers are much more gentle on hair than other irons. They have a very smooth surface to give you silky and healthy curls with a luminous luster. They distribute heat evenly throughout the barrel, thereby preventing hot spots and damage to your hair. They work well on the hair of all structures and lengths. So, no matter whether you have short, long, stubborn, chemically treated or unruly hair, you'll be able to create long-lasting bouncy locks. In this brief review, we have rounded up only the top-rated curling irons so that you can choose the best one. In case you want to improve your hair shine and volume naturally, check out our review on the best therapy shampoos. 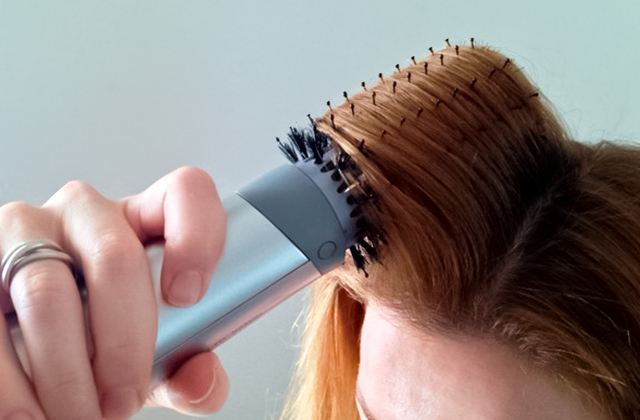 And if you would like to experiment with your style and straighten your hair from time to time, you may be interested in one of these top flat irons.